There’s something so wonderful about a traditional Italian restaurant that you can count on - families coming together to break bread, the atmosphere buzzing with laughter and excitement, imported wine pouring at each table, first dates and birthday celebrations galore, and aromatic smells of homemade specialties filling the air. Grazie Café Prima Pasta for always being our go-to. With its plentitude of outdoor and indoor seating, a daily happy hour, charming hospitality, expert service, and endless Italian dishes to devour, it’s no wonder this popular establishment continues to wow almost three decades later. The eclectic décor and dim lighting makes this cozy, full-service eatery feel like home - everything from decadent chandeliers, Moroccan lamps and wood ceiling beams to hanging garlic strings, table spotlights and wine bottles stored across the dark walls. The garlic, by the way, is changed every three months to keep the vibe fresh. “We grew up in a very simple house, but with a very warm atmosphere. When I worked in New York City, I was very inspired by the different restaurants and private clubs,” Gerry added. You can’t miss the never-ending, autographed celebrity images lining the walls. 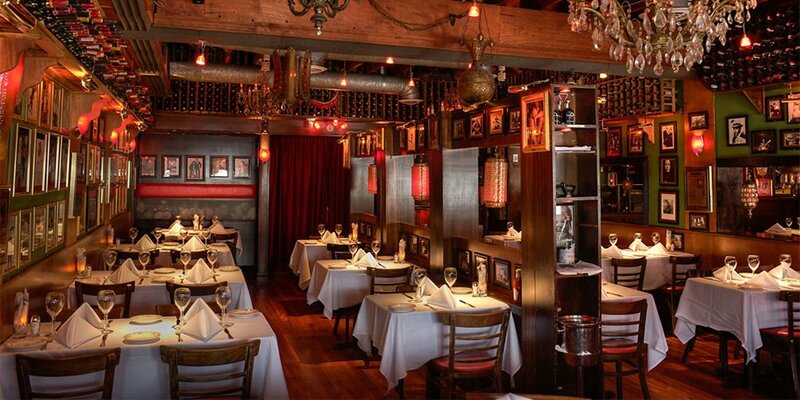 Some of the biggest names to visit Café Prima Pasta include Madonna, Matt Damon, John Travolta, Billy Joel, Lenny Kravitz, Michael Bolton, Luis Fonsi, and many others! It’s not just for the intimate surroundings that make this a top destination for regulars and superstars alike. Dining at Café Prima Pasta is taking a savory culinary journey throughout Italy, and experiencing the flavors of time-honored recipes. The diverse menu offers succulent plates from across the country, but when it comes down to the pasta and red sauce – they share their treasured family recipes hailing from Calabria in southwest Italy. Before beginning the dining experience, we selected perfumed, ruby red Chianti for its magnificent notes and elegant aftertaste. It paired well with all the exquisite dishes we ordered. Mangia! As the crust-forward rustic bread arrives, you’re greeted with an ongoing list of beloved classic appetizers to choose from: Calamaretti Fritti (fried calamari), Polpette & Ricotta (meatballs, marinara sauce, fresh ricotta), Caprese Salad (mozzarella di bufala, tomatoes and basil), and Antipasto Misto (platter of Italian cold cuts, cheeses, olives and roasted vegetables) just to name a few. 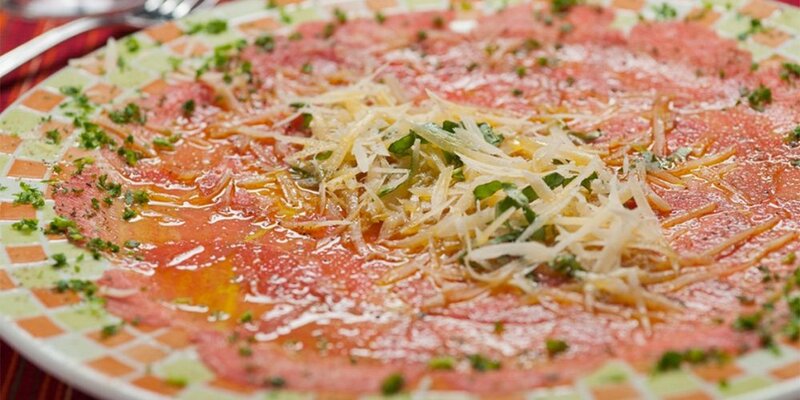 First up, the delightful Carpaccio Di Manzo. This large dish presented a fragrant array of layered, thinly sliced filet mignon topped with Parmesan cheese shavings, delicate olive oil, and hints of black pepper. It was fresh, complex, and citrus-forward with the perfect acidity on the finish. Almost too beautiful to eat. The Polpo Alla Toscana is sinful. Savor every ounce of this hearty plate! The generous heap of octopus, sautéed in white wine, is tossed in tomato sauce, chunks of potatoes, cannellini beans and topped with parsley. A flawless execution, truly. Naturally, Café Prima Pasta takes its pasta serious. So many mouth-watering options here, such as Penne Vodka (penne pasta with crispy shallots, creamy pink sauce and a touch of vodka), Spaghetti Meatballs (spaghetti pasta with meatballs and fresh tomato sauce), Crab Raviolotti (miniature ravioli pasta filled with crabmeat in a creamy lobster sauce), and Black Linguini Seafood (squid ink linguini pasta and seafood with choice of fresh tomatoes or creamy lobster sauce). Choices, choices. Drool-worthy lasagna is everyone’s best friend, present company included! And, their original Lasagna Bolognese is heaven on earth. The layered entrée is a stunning balance of gooey cheese goodness, perfectly cooked noodles, luxurious béchamel sauce, and slow-cooked Bolognese ragù sauce. Golden, rich, EPIC! 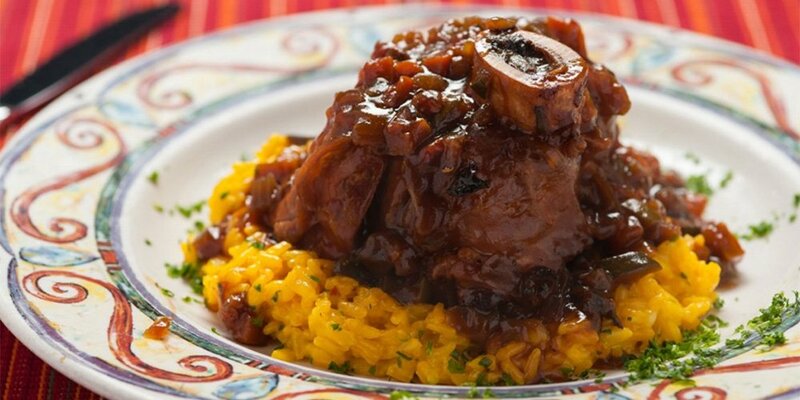 Now it’s time for comfort food at its finest - Osso Buco. Prime veal shanks are braised - low and slow – in a thick sauce of wine, broth, vegetables and tomatoes. The bone marrow bastes the juicy meat, creating a super tender, intensely flavored, melt-in-your-mouth goodness that is unforgettable. Beautifully presented, it sits on a bed of creamy, smoky-tasting risotto. Finish it all off with an hot expresso and cold Tiramisù, a lovely ending to this Italian feast. Light and airy, the semi-sweet dessert is magnificent - coffee-soaked Savoiardi (ladyfingers) meet layers upon layers of whipped custard: mascarpone cheese, sugar, eggs, whipped cream, and rum. Topped with a sprinkle of cocoa, it is served with a side of fresh strawberries.